Why is the name 'Cleopatra' not allowed in Iceland? Why do clocks 'talk' to the Nahua people of Mexico? And if we are what we eat, are we also what we say? 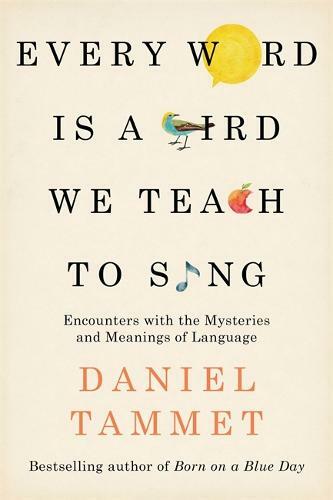 These are just some of the questions Daniel Tammet answers in Every Word is a Bird We Teach to Sing, a mesmerising new collection of essays investigating the intricacies and profound power of human language. Tammet goes back in time to explore the numeric language of his autistic childhood; he looks at the music and patterns that words make, and how languages evolve and are translated. He meets one of the world's most accomplished lip readers in Canada, learns how endangered languages like Manx are being revived and corresponds with native speakers of Esperanto in their mother tongue. He studies the grammar of the telephone, contemplates the significance of disappearing dialects, and also asks: will chatbots ever manage to convince us that they are human? From the art of translation to the lyricism of sign language, Every Word is a Bird We Teach to Sing is a fascinating journey through the world of words, letters, stories and meanings, and an extraordinary testament to the stunning range of Tammet's literary and polyglot talents.